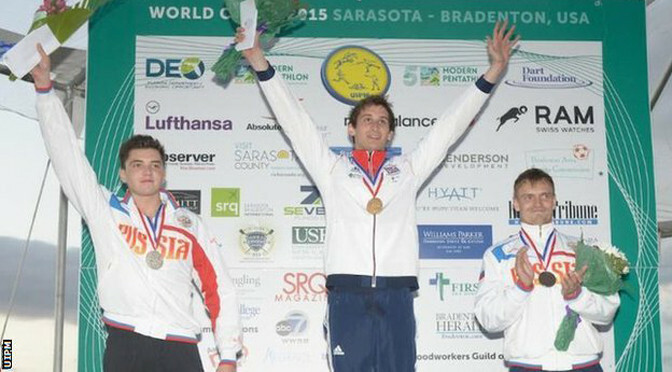 Great Britain claimed double modern pentathlon gold at the World Cup event in Sarasota as Jamie Cooke followed up Samantha Murray’s success in Florida. Cooke, 23, sealed victory by overhauling Egypt’s 2014 world silver medallist Amro El Geziry after the second of four shooting stages. Earlier, world champion Murray began her season in style by claiming gold in the women’s event. “The plan is Rio and this a good start to the year,” said Cooke. Pentathlon GB performance director Jan Bartu added: “These results far exceeded our expectations. Cooke’s triumph followed consistent performances across the four events – fencing, swimming, riding and the combined run-shoot. But Bartu singled out his fencing for particular praise. “Jamie put in one of his best fencing competitions ever and that set him up,” he said. 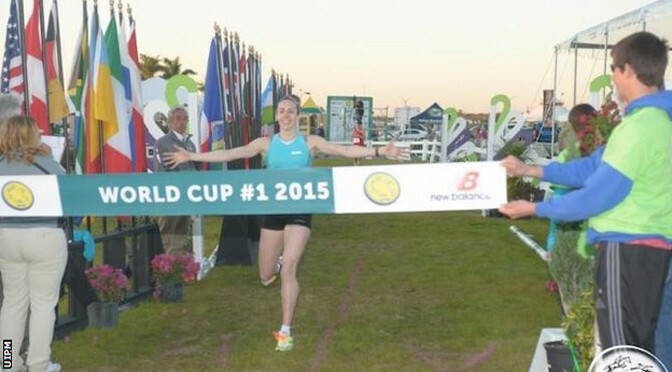 Britain’s world champion Samantha Murray began her season in style by claiming gold at the Sarasota Modern Pentathlon World Cup in Florida. The 25-year-old, who won Olympic silver at London 2012, was taking part in her first competition since securing the world title in September last year. Murray sealed victory by finishing ahead of USA’s Margaux Isaksen in the run-shoot combined event. Britain’s Kate French was third in the season-opening World Cup event. “The thing with pentathlon is that you should be really happy when you make the podium because with five diverse events you never know what’s going to happen,” said Murray. Murray went on to triumph after leading the combined standings following the fencing, swimming and showjumping phases. “I am really proud of myself because in the semi-final I was really shaky and felt like I wasn’t in the right place mentally to do a competition, but I took the time yesterday to think about everything and try and find that feeling I had at the World Championships and bring it to the World Cup,” she said.